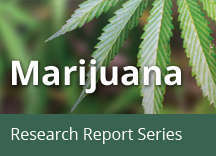 Home » Publications » Research Reports » Marijuana » How does marijuana use affect school, work, and social life? To what degree marijuana use is directly causal in these associations remains an open question requiring further research. It is possible that other factors independently predispose people to both marijuana use and various negative life outcomes such as school dropout.58 That said, people report a perceived influence of their marijuana use on poor outcomes on a variety of life satisfaction and achievement measures. 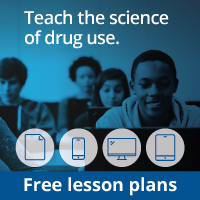 One study, for example, compared people involved with current and former long-term, heavy use of marijuana with a control group who reported smoking marijuana at least once in their lives but not more than 50 times.59 All participants had similar education and income backgrounds, but significant differences were found in their educational attainment: Fewer of those who engaged in heavy cannabis use completed college, and more had yearly household incomes of less than $30,000. When asked how marijuana affected their cognitive abilities, career achievements, social lives, and physical and mental health, the majority of those who used heavily reported that marijuana had negative effects in all these areas of their lives.